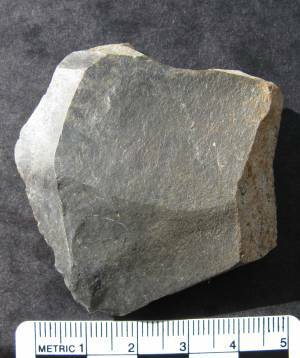 Record Name Lithic find of Mesolithic character. 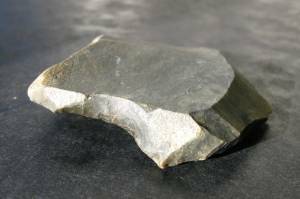 Record Description Large struck faceted flake of chert or fine grained stone with retouched notch and finger grip which is best described as a spokeshave or arrow shaft smoothing implement. 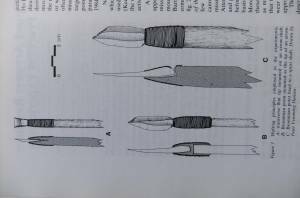 Additional Notes Mesolithic Cultures have been defined by the invention of the bow and arrow. 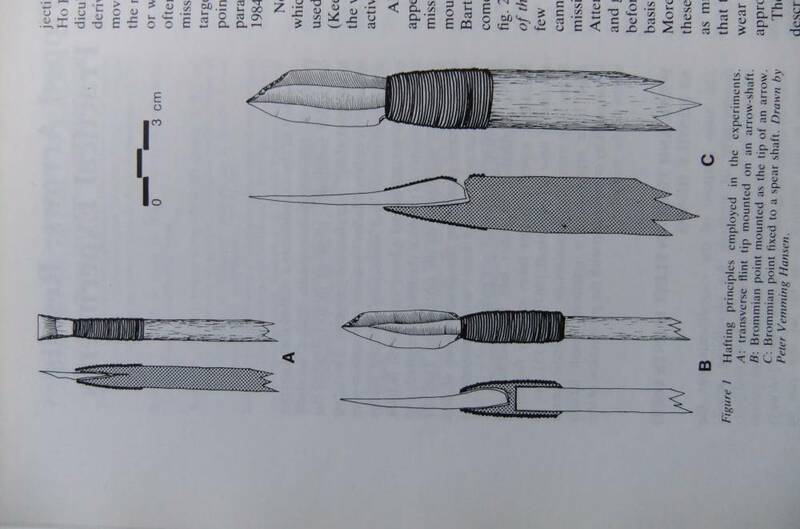 However, Mesolithic arrow shafts have rarely (if ever in Britain) survived,in contrast to their armatures, those from the transitional Late Upper Palaeolithic/Early Mesolithic Ahrensbergian Site at Stellmoor Ahrensberg were 90cm in length and 1cm in diameter carrying points weighing .5-2g were used to kill reindeer at a fording place in Northern Germany at around 10,000 years ago. The efficiency of these arrows in the hunt cannot be doubted and has been proved by shooting reconstruction experimental arrows of Stellmoor Type with armatures of of Brommian Type into the(previously killed) carcase of a wild boar, see photo. Image 1 Description Large flake with retouched notch. Spokeshave. Photo Ric Carter. 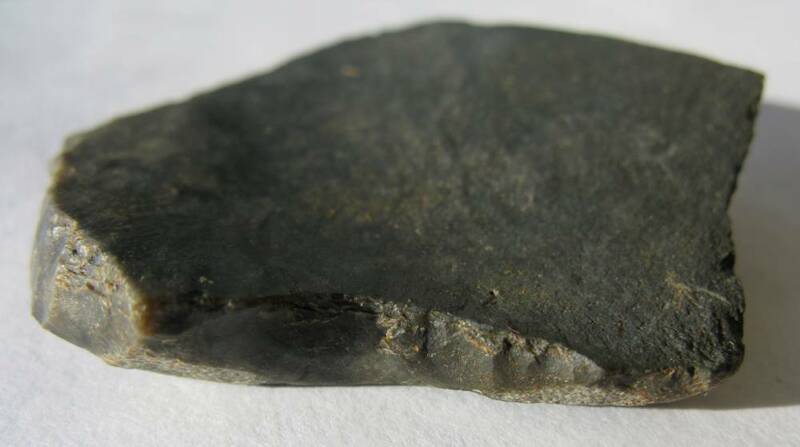 Image 2 Description Large flake with retouched notch. Spokeshave.Photo Ric Carter. Image 3 Description Large flake with retouched notch. Spokeshave, detail. Photo Ric Carter. 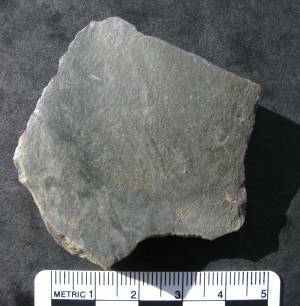 Image 4 Description Large flake with retouched notch. Spokeshave, detail. Photo Ric Carter. 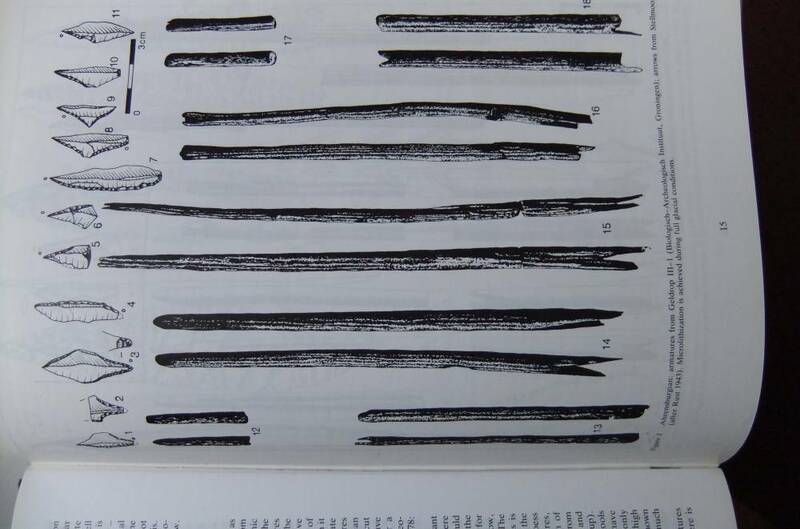 Image 5 Description Arrowshafts from Stellmoor and armatures from Geldrop. Rozoy 1990. 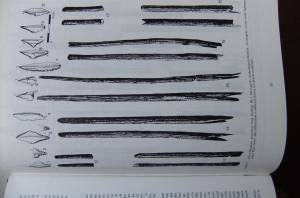 Image 6 Description Hafting experimental arrow armatures. Anders Fischer 1990. 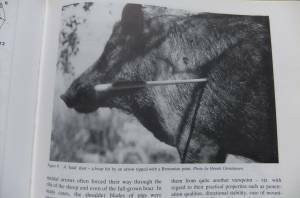 Image 7 Description Experimental arrow fired into the dead carcase of a wild boar. Anders Fischer 1990.